"Aren't we all queer? Different? Odd? Peculiar? Strange? Freaky? Weird? Losers in our own way?" It may have taken the first fifteen years of her life, but Alyx Atlas is coming to terms with who, or some may say, what she is. Born intersexed, Alyx has both male and female genitalia. This rare condition was explained to her parents by the doctor who suggested that surgery could be performed immediately to preserve her female organs and eliminate the male organs. It was the decision made by most parents of newborns with this condition. Alyx's forward thinking parents decided to leave things just as they were and give Alyx time to decide who he/she wanted to be. Since Alyx displayed true athletic talent, most considered her a boy, but from an early age she viewed herself as female. According to doctors, she could begin taking female hormones so she could develop breasts and begin menstruating, but the advice was that she wait until she was eighteen to consider any final surgery. All the advice was well and good, but since Alyx's feminine tracts dominated, she became the target for bullies, and after a number of vicious attacks, she began thinking death would be easier than living this double life. After her father's death from cancer, Alyx and her mother relocated from California to her mother's hometown in Milwaukee. Alyx took her mother's maiden name hoping to blend in at her new school. She joined the girls' basketball team and began to live a life she thought would be normal. As most readers will soon guess, Alyx's past catches up with her and life once again becomes complicated. Will she be able to deal with the challenges ahead? Will she be able to come to terms with who she is despite the sidelong looks and discrimination of others? Author Bridget Birdsall tackles a tough subject with sensitivity and grace. Readers will fall in love with Alyx right from the start and cheer her on as she faces more than any teen should have to face. Her unique situation will force readers to consider exactly what makes a person who they are both inside and out. DOUBLE EXPOSURE is a must-read and should be on every high school library and classroom shelf. ONE DEATH NINE STORIES edited by Marc Aronson & Charles R. Smith Jr.
ONE DEATH NINE STORIES is a unique novel comprised of short stories that weave together the story of Kevin Nicholas. Reports of Kevin's death connect his acquaintances as they tell their individual stories and how they are tied to the deceased nineteen year old. His sister, his best friend, a passing relationship with a fellow community college student, and an ex-girlfriend are just a few of the contributing storytellers that give readers a glimpse into the intertwined relationships of those who knew Kevin. Ghosts from Kevin's own past reveal that his relationships were not the positive ones that most would hope for in the life a young man about to begin his adult life. From the nine different stories, readers will learn about the influences humans have on one another, whether good or bad, and how those experiences combine to shape the players. This unique collection is the product of two amazing minds, Marc Aronson and Charles R. Smith Jr.* They tapped nine of their contemporaries to participate in this literary experiment. Authors Chris Barton, Nora Raleigh Baskin, Marina Budhos, Ellen Hopkins, A.S. King, Torrey Maldonado, Charles R. Smith Jr., Will Weaver, and Rita Williams-Garcia all played a part in creating the cast of characters connected to Kevin Nicholas. In the Afterword Aronson explains the unique process of creating the individual stories and the resulting complex interaction that brought them together in this interesting format. News of Swanee's death nearly derails Alix. How can a healthy, running addicted young woman just collapse and die? Alix's parents never truly accepted Swanee as Alix's girlfriend. The two spent more time together at Swanee's house or in her little pink Smartcar. Swanee was a rebel who tried to bring out Alix's more daring side, and that isn't always welcome when your parents are on the conservative side. When Alix finally gets the nerve to visit Swanee's family, she is greeted by their strange form of grief. Alix asks to enter Swanee's bedroom in hopes of connecting one last time with the love they shared. She runs across Swanee's phone and discovers a string of unanswered texts for a mysterious "LT." The mystery caller doesn't seem to have received the message of Swanee's death, and the message suggests a romantic relationship that Alix can't seem to understand. Alix becomes obsessed with finding this LT intending to break the news of their mutual friend's death. As her search unfolds, it becomes obvious that Swanee was keeping secrets that involved both Alix and the texting stranger. As the secrets are uncovered, both girls learn that Swanee was not the girlfriend either of them thought she was. Author Julie Anne Peters takes her readers on an adventure that twists and turns through the complicated lives of three young women. Readers will come to admire the resilience of the two betrayed teens as they come to terms with the truth about their mutual lover's lies. LIES MY GIRLFRIEND TOLD ME proves that life is not easy, but the challenges may be worth the struggle. Author Andrea Davis Pinkney shares the horrors of the civil war in Darfur in THE RED PENCIL. She traveled to Africa to research and interview refugees who have survived the brutal war and those who volunteer in refugee camps to provide humanitarian support. The story of Amira is a combination of the stories Pinkney heard during her travels. Amira is excited to be turning twelve. She will now be able to wear a toob, a long piece of fabric Sudanese women wear wrapped around the head and body. Wearing a toob signifies that Amira is approaching womanhood, and she will wear it with pride. Life in her small village is good. She has a loving father, mother, and a tiny little sister. Her sister was born with crippling birth defects, but with determination and grit, the little girl has strengthened her twisted body so she is able to walk and even play with the other village children. Amira is proud of her family. Her only regret is that she is unable to attend school. Her best friend moved from the village to attend the Gad Primary School where she will learn to read and write. Amira's mother believes education for a girl is foolish. She says Amira should be learning to care for a family not filling her head with nonsense. When the Janjaweed attach Amira's village, her father is killed. She and her mother and sister, along with any other survivors, are taken to Kalma where they live in crude tents and wait in long lines for small rations of water and food. Mourning the loss of her beloved father, Amira struggles to find any hope in the terrible conditions. The arrival of aid workers bringing meager supplies provides Amira with a gift that brightens her days. She is given a red pencil and a precious yellow tablet. With the help of Old Anwar, she begins to learn to read and write and express herself through drawings. Pinkney hopes that reading THE RED PENCIL will help young people understand the tragedy still unfolding in the Sudan and Darfur. What we take for granted and often dismiss as trivial and annoying, the children of Darfur see as gifts that could change their lives forever. Author Peter Prichard invited me to join the blog tour of his book, DAWN OF HOPE. Prichard has worked with high school students and adults for over 38 years. He emphasizes the importance of goal setting and reaching those goals. He won a Youth Advocate award in his hometown and says that the teen protagonist in DAWN OF HOPE is a combination of the hundreds of hardworking, courageous people he has worked with over the years. Dawn is seventeen and starting her senior year at a new high school. It takes only one day at Fair Shore High School to learn that the privileged, popular kids are bullies and even sexual predators. After experiencing unwelcome advances from a group of football stars, Dawn takes matters into her own hands by tripping one of her abusers and accidentally sending him to the hospital. Naturally, her first day experience sets a negative tone with her fellow students, but Dawn is determined to prove that her treatment was not acceptable, and she vows to make a change in her new hometown. Her business savvy mother is ready to help in any way she can. It seems that the two have a past that has created a strong mother/daughter bond. Unfortunately, as part of adjusting to their new town, Dawn's mother becomes involved in a relationship Dawn feels may be questionable so in addition to dealing with her problems at school, Dawn must keep a watchful eye on her mother. Because of the permissive attitudes in the town of Fair Shore, Dawn is fighting an uphill battle. She not only faces ridicule from both teens and adults, but she also faces truly dangerous physical threats that could cause her serious harm. Can she defend herself and stop the prevalent abuse in her school and town, or will more powerful forces stop her before her job is finished? Author Peter Prichard takes on quite a bit in this novel. 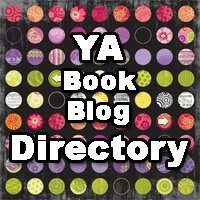 Teen readers might find it a bit overwhelming. It includes more adult involvement and conflict than most YA novels. This reviewer would suggest that DAWN OF HOPE might be described as a crossover type novel with appeal for more mature YA readers or those in the 30 and over age group. Prichard does have a sequel finished titled DAWN OF THE TOBACCO WARS that is scheduled for release in 2015. Life is a balancing act for Ashe whose parents have stayed together only because he was born. Their conflicting opinions of the state of the world in 1968 have pulled them in opposite directions. Ashe is definitely caught in the middle. Each week Ashe's history teacher posts a number on the chalkboard. It's a number all too familiar to Ashe - the U.S. casualty total from the fighting in Vietnam. Ashe listens to news reports, watches his mother protest the war, and agrees that keeping up his grades so he can go to college and avoid the draft is the best plan. In the midst of the war abroad, the race war is being fought here at home. The events of 1968 include the Black Panther movement, the protests and assassination of Martin Luther King, Jr., and the assassination of Bobby Kennedy. Ashe is pulled in yet another direction when he meets Angela. Her brother is fighting in Vietnam but hasn't been heard from in months. Ashe sees the strain it puts on Angela and her family as they wait to hear if he will be reported dead, a captured POW, or MIA. He'd love to introduce Angela to his parents, but since racism is yet another divisive issue between his parents, he must keep his relationship with Angela to himself. Author Chris Crowe uses a unique and challenging format for his tale. DEATH COMING UP THE HILL is told in narrative haiku. The spare language is precise and powerful. Readers should be sure to read the Historical and Author's Notes at the end to fully appreciate the complex challenge Crowe faced in creating this amazing work. When her father decided to abandon his family and her mother began to use pills to deal with their crumbling life, Dell's reaction was to turn to food. She has put on 70 pounds in the past year. Now her clothes don't fit, her mother constantly nags her about how much she eats, and her softball coach just told her he is kicking her off the team. Dell knows her life is out of control, but what can she do? Her best friend Cara tries to get her involved with school activities including a party invitation that even the popular kids would envy. Dell agrees to go but is sure she won't have any fun. Cara pretty much deserts her once they arrive so Dell goes in search of a beer where she runs into Brandon. She's always been attracted to him and cherishes the one time he complimented her on her batting skills. When he asks her if she wants to see something upstairs, she can't believe her luck. Dell becomes the victim of Brandon's drunkenness. He gets her into a bedroom and after an astonishingly gentle kiss, her rapes her. Dell can't believe what happens and has no idea how to tell anyone. Her silence is the perfect cover for Brandon who immediately spreads the rumor that Dell raped him. If life wasn't already difficult enough for Dell, she becomes an even bigger target for unwelcome jokes and taunts. Wishing she could tell her mother or best friend, she suffers in silence and continues to use food to fill her emptiness. Author K.M. Walton takes her readers into the depths of despair as she examines the consequences of bullying. With no support system, Dell tries to deal with the disappointments of life, but things spiral out of control to a point of no return. Powerful heart-breaking, EMPTY is a riveting read. Much to her mother's shame and disgust, Aggie Winchester has followed her friend Sylvia to the dark side. Aggie's Goth persona may be a form of rebellion against her principal mother, but it is also a way for her to step outside of herself when things get beyond her control. Things have been pretty bumpy with boy friend Neil, and when he actually breaks up with Aggie, she can't seem to get over it. If she is honest with herself, she should recognize that he was only interested in her for one thing, but she felt so complete when she was in his arms. Now when she is hoping to confide in her best friend Sylvia, Sylvia has news of her own. She is pregnant. Maybe it's the pregnancy, or maybe it's the new girl, Beth, who has Sylvia acting so weird. She stops calling Aggie and barely acknowledges her at school. The real shock comes when Sylvia announces that she is running for junior prom queen. When she tells Aggie it is because the father of her baby is up for prom king, Aggie tries to convince Sylvia that isn't the right way to get his attention and acceptance. Just when Aggie's relationships are all crashing, her mother announces she has cancer. Aggie feels left in the dark by her parents and begins making even more questionable choices. When the prom queen vote turns into a controversy, possibly involving Aggie's mother, she isn't sure where to turn. It seems no matter what decisions Aggie makes, things get more complicated. Author Lara Zielin deftly portrays the angry teenager. She has created a sixteen year old struggling with self-expression and standing up for what she believes is right. Readers will surely relate to the difficulties of balancing family loyalties with the pull of peer pressure. I found Aggie to be both a refreshing and frustrating example of the teen spirit. This National Book Award Finalist is definitely worth checking out. Written in verse, it tells the story of the author's own childhood experiences. 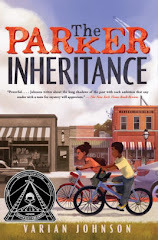 Growing up in Ohio, South Carolina, and eventually New York City during the years of the Civil Rights movement, Woodson shares what it was like to live in a non-traditional family situation, experience prejudice, and follow her dreams. "Jackie" Woodson was a second child born to her parents in Columbus, Ohio. Her parents' marriage was never stable, and when they split up, Jackie was still a babe in arms when her mother moved her and her brother to South Carolina to live with grandparents. Jackie immediately took to her grandfather "Daddy" and remained close to him until he died. Her grandmother, a strict Jehovah's Witness, introduced Jackie to the Bible and taught her the ways of their often misunderstood faith. When Jackie's mother left South Carolina to search for a better life in New York City, Jackie and her brother stayed behind. The love of their grandparents helped life seem normal even with their mother gone. They still remained close and returned for visits even after their mother returned to retrieve them and take them to the big city. In BROWN GIRL DREAMING Woodson explains her love of words and writing. Readers will follow Woodson through her childhood experiencing the happy memories, disappointments, and loves and losses that all combined to influence the amazing writer she would later become. Astrid Krieger's life is about to change. She has been kicked out of multiple private schools so her parents have decided she will be attending public school for the first time in her life. Raised in a wealthy family with the best of everything, Astrid is spoiled and insists on breaking every rule she can. When her parents decide her punishment is to attend public school, she responds by telling them she is moving out. Since she has no independent source of income, and her parents remind her that her older sister is already living in the guest house, Astrid moves into a prototype of a rocket ship in the backyard. Living in a rocket ship will definitely be a topic for small talk at her new school, but will Astrid fit in and be able to adjust to life with "regular" people? FIRECRACKER by David Iserson has been compared to John Green's LOOKING FOR ALASKA. Given the fact that Iserson has written for shows like NBC's Up All Night and Saturday Night Live, readers are in for a fun ride as they follow Astrid in her adventures.